Car collisions require a meticulous breakdown of the crash site, which the police sometimes gloss over. In the past, Graham has brought to light new and compelling evidence to cases, which would have been lost otherwise. 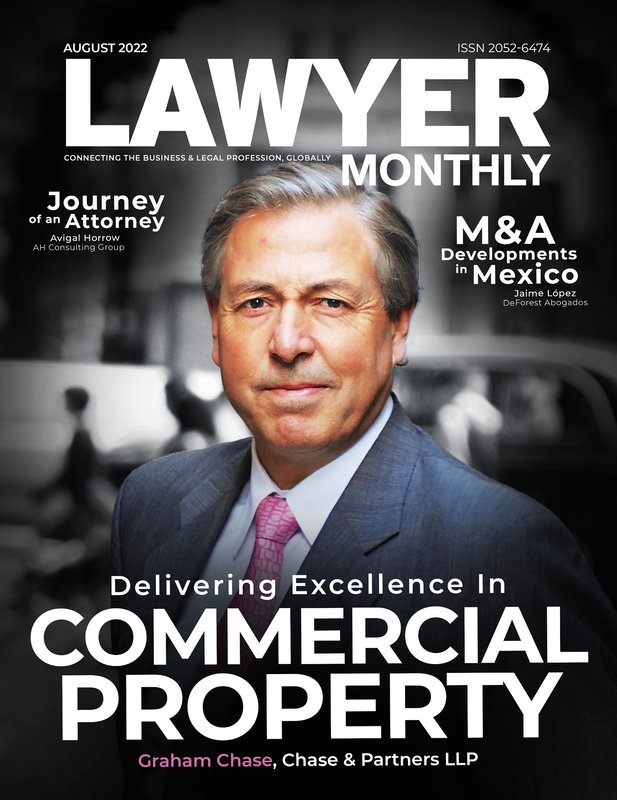 He speaks to Lawyer Monthly about what occurs after a collision, especially in relation to commercial transport. When an accident occurs, in order for you to appropriately analyse the circumstances, what reports and actions need to be taken? It is important that we are provided with all of the documents including photographs, either in the used or unused material. It is necessary to examine these before carrying out any further work. Site visits are always useful as these will identify lines of sight and road surface conditions. Carrying out vehicle examination is also important, on some occasions speed of impact can be calculated. Condition of vehicles prior to collision can also be ascertained. Once all of this information has been collated a report can be provided. There are other factors that one must examine before coming to a conclusion. What complications arise when heavy haulage or commercial transport is involved? Are there any legal issues which arise? There are a number of additional factors with commercial vehicles that can complicate issues, including the use of equipment such as, the tachograph. The tachograph, if working correctly, should be able to assist with time distance speed of impacts. However, there are times when such equipment is not working correctly. Again, trying to establish these with damaged vehicles can present problems. Moreover, there are also a number of additional legal authorities that haulage companies need to comply with, such as, drivers’ hours; fatigue is often a factor behind the reason of collision, so complying with employment laws is vital. Haulage companies (both LGV and PSV) are also required to carry out a strict maintenance programme with their vehicles, so again, maintenance could be a key factor. Even something often undermined as a factor is loading. There have been a number of vehicles that have rolled onto their side when negotiating a bend in the road. Was this due to the load moving within the vehicle, or was it linked to speed? There are other factors that one must examine before coming to a conclusion. A couple of challenges that I feel are yet to come will be: dealing with a serious accident on the smart motorway due to a lane being closed as a result of a broken-down vehicle and autonomous vehicles. From your perspective, do any regulations need to change, or should there be better awareness on particular issues, which would help challenges you and clients may face in your field? I do not believe that there needs to be any change to the current regulations. I feel that companies and their drivers alike should have driver awareness training which would improve their own skills. I truly believe that road traffic enforcement has never been in the political light, the fact that there are around 2000 fatal road traffic accidents across the UK does not seem to matter. I feel that with greater enforcement and greater physical police presence, accident rates would drop and driver behaviour would improve. Would the UK be content if there were 2000 murders every year, or if 5 fully loaded Jumbo Jets crashed in the UK every year? Obviously not. A couple of challenges that I feel are yet to come will be: dealing with a serious accident on the smart motorway due to a lane being closed as a result of a broken-down vehicle and autonomous vehicles. Whilst technology is used in both of these situations, it does not take into consideration human intervention. Headed by one of the most distinguished and experienced transportation advisers in the country, Graham Doughty, TMC Assist have a sound base in the transportation industry; we aim to put our resources to effective use for the success of our clients. Backed by hundreds of successful cases in different fields of road transport issues, and having been the preferred adviser for many companies, clients can rest assured that their case is in safe hands with TMC Assist.